Now we are open all year! Find out moore about our Family Garden Deluxe Bungalow here! This family bungalow is located 40 meters from the pool and a handy 80 meter away from beautiful Klong Dao beach. 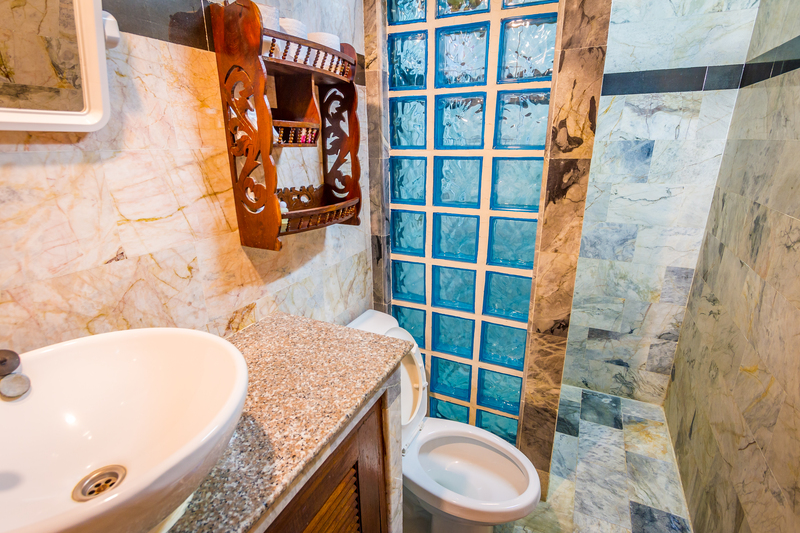 Fully luxurious equipped with : Air-condition + fan - hot and cold water in marble bath-room - Cable TV - fully stocked mini-bar - 1 king-size beds and 1 single-bed - in-room electronic safety deposit etc. 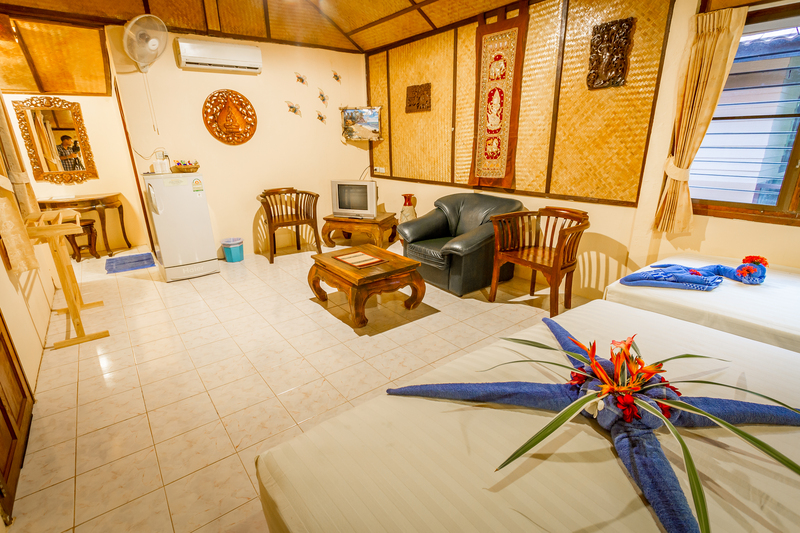 All prices in Thai Baht per night. 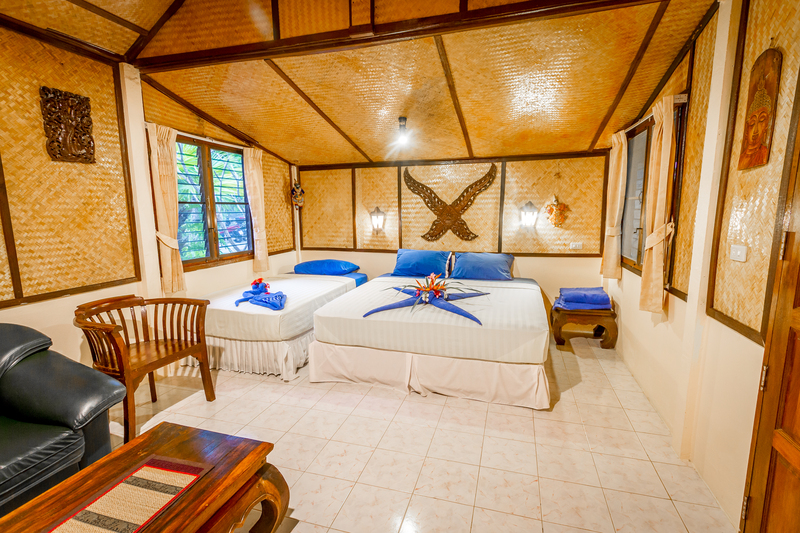 When you are a family from 2 adults with 2 small children, you can stay in Family garden Deluxe bungalow. MAX 4 guests ! This room is taught for 3 persons. 0-2 year = 100 THB per night. 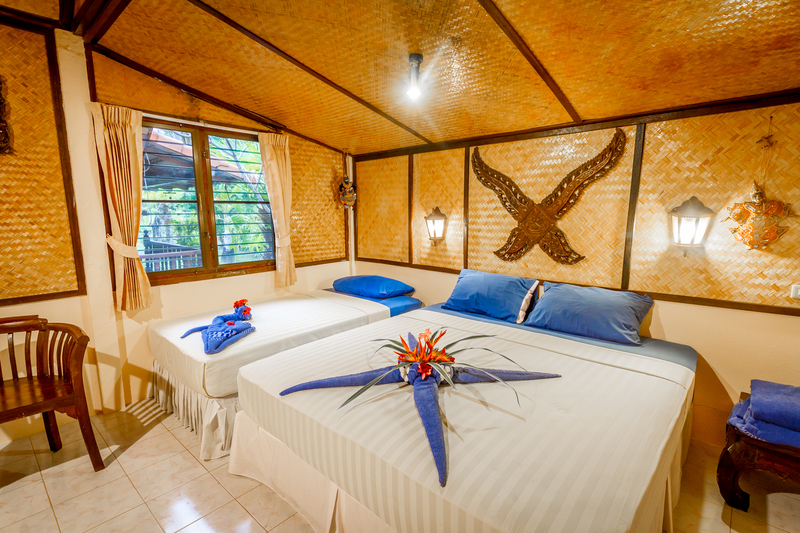 2-6 year = 200 THB per night.